In Palawan, there are a lot of other activities and tours you can enjoy aside from island hopping, snorkeling, scuba diving or taking the famous Underground River Tour. You might want to go dolphin watching for a change. The Dolphin Watching Tour is a seasonal Palawan activity where you can watch dolphins swim, play and jump next to your boat. 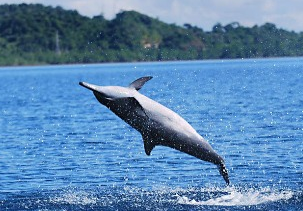 The best time to have this adventure is from April to October when dolphins visit the Puerto Princesa Bay. Why do you think dolphins jump out of the water? Dolphins save energy jumping through air as it takes less effort to move through air than it does for them to swim through water. Dolphins may get a better view of distant things such as food by jumping over water. They can see seabirds feeding or hunting for food above the surface to identify areas where there is abundant food supply. Other scientists think that this is a way for dolphins to communicate with others in their pod. There are also some theories that suggest jumping is a way for these sea animals to get rid of pests clinging to them. Then again, some researchers think that it is just their way of having fun. There are other Palawan Tours and Activities in Puerto Princesa such as the Firefly Watching Tour and the Irawan Eco Adventure and Zipline Tour. An economical way to go on a Dolphin Watching Tour is to be located close to the activity venue. 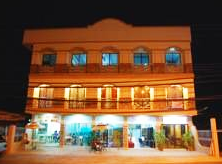 Consider the numerous budget Palawan hotels and mid-range accommodations in Puerto Princesa.